European equities are on the back foot after a surprise drop in German factory orders this morning added to signs that the region’s strongest economy is struggling. The EUR (€1.1380) has fallen to its lowest level outright in a fortnight on the news, after German manufacturing orders had dropped by -1.6% from November. This has confused market consensus, who were expecting a +0.3% rise. Even U.S stock futures seem unfazed by President Trump’s State of the Union address last night, which has proved “fairly uneventful.” Nevertheless, the ‘big’ dollar has extended its gains alongside U.S Treasuries. Asia overnight saw another muted session, with trading rested mostly by the Lunar New Year holidays. Down-under, Australia’s dollar tumbled after the RBA’s Governor Lowe indicated a shift to a “neutral” stance on monetary policy. Later this evening, capital markets will be looking for some directional clues from Fed Chair Powell’s first public comments (07:00 pm EDT) following last month’s monetary policy meeting and interest-rate decision. On tap: Earnings season continues, with reports from Twitter and MetLife. Markets were closed in China, Hong Kong, Korea, Malaysia, Singapore, Taiwan and also in New Zealand. In Japan, the Nikkei edged a tad higher overnight despite investors barely reacting to Trump’s State of the Union address. Their attention remains on corporate earnings. The Nikkei share average rallied +0.1% while the broader Topix declined -0.1%. Down-under, Aussie shares edged higher as fears of an iron ore supply shortage supported mining stocks, but gains were capped by a profit miss from one of the country’s top financial lenders – Commonwealth Bank of Australia – the S&P/ASX 200 index closed up +0.3%. The benchmark surged +2% on Tuesday. Note: U.S and Chinese officials are poised to start another round of trade talks in Beijing next week to try and avert a March 2 increase in U.S tariffs on Chinese goods. In Europe, regional bourses are trading slightly lower across the board, consolidating after yesterday’s sharp gains with corporate earnings the key theme. U.S stocks are set to open a tad under pressure (-0.1%). Oil prices are a tad higher for the first time in three sessions ahead of the open stateside, although market concerns over the outlook for the global economy has capped gains. Brent crude oil futures are at +$62.05 per barrel, up +7c, after closing down -0.8% yesterday, while U.S West Texas Intermediate (WTI) crude futures are at +$53.74 per barrel, up +8c from their last settlement. They closed down -1.7% on Tuesday. 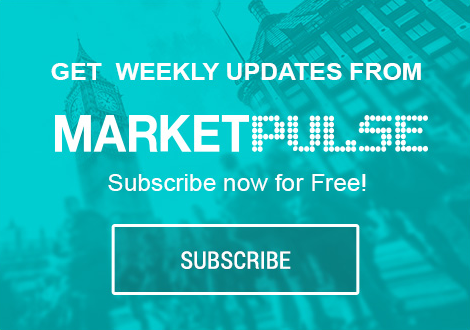 Nevertheless, API data yesterday showed that U.S crude stocks rose last week even as refineries boosted output, while gasoline and distillate stocks also increased – crude inventories rose by +2.5M barrels in the week ended Feb. 1 to +448.2M, compared with expectations for an increase of +2.2M barrels. Ahead of the open stateside, gold prices are holding firm after U.S President Trump in his State of the Union speech again promised to build a border wall and gave little clarity over the ongoing trade discussions with China. However, the ‘yellow’ metals gains have been somewhat offset by a stronger U.S dollar. Spot gold is steady at +$1,314 per ounce, while gold futures are also steady at +$1,318 an ounce. Elsewhere, the yield on 10-year Treasuries has decreased by -2 bps to +2.68%. In Germany, the 10-year Bund yield has fallen -1 bps to +0.16%, while in the U.K the 10-year Gilt yield has dipped -2 bps to +1.209%. In Japan, the 10-year JGP yield has declined less than -1 bps to -0.013%. EUR/USD (€1.1395) is a tad softer by -0.2% and holding below the psychological €1.14 level. The ‘single’ unit of choice has come under pressure after Germany December Factory Orders (see below) continued the string of disappointing European data. GBP has dropped -0.6% to $1.2957, posting a four-day decline. Yesterday’s Markit U.K Services PMI dipped to 50.1 in January (vs. 51.0 expected), the lowest since July 2016, from 51.2 in December. The Bank of England (BoE) is widely expected to keep its monetary policy unchanged Thursday (07:00 am EDT). AUD/USD (A$0.7136) is on track for its biggest decline in 12-months after the RBA tweaked its forward rate guidance to a more ‘dovish’ stance. RBA now sees its rate outlook as more “evenly balanced” compared to the prior view that next rate move was likely to be higher. Data out of Europe showed that German manufacturing orders collapsed in December, led by a sharp drop in orders from outside the eurozone. According to Germany’s statistical office that manufacturing orders declined -1.6% in December m/m, while the market had expected a rise of +0.3%. Note: Compared with December 2017, German manufacturing orders dropped -7.0%.